I hope you had a wonderful weekend. We sure did. We got to see our youngest grandson on Saturday and then our older two grandchildren on Sunday. Can't ask for more than that! 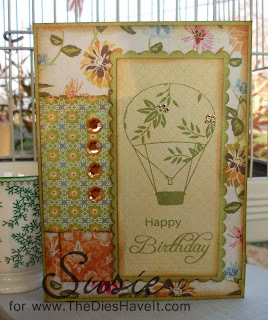 I wanted to start the week off with a few stamps from Inspired by Stamping. I am on the design team for this company and this week Joanna will be releasing EIGHT new stamp sets. I will be able to start showing you some sneak peeks on Thursday. Til then, I'll show you one that is a little bit older. Both the image and the sentiment are from The Sky's The Limit set. I just love this set! 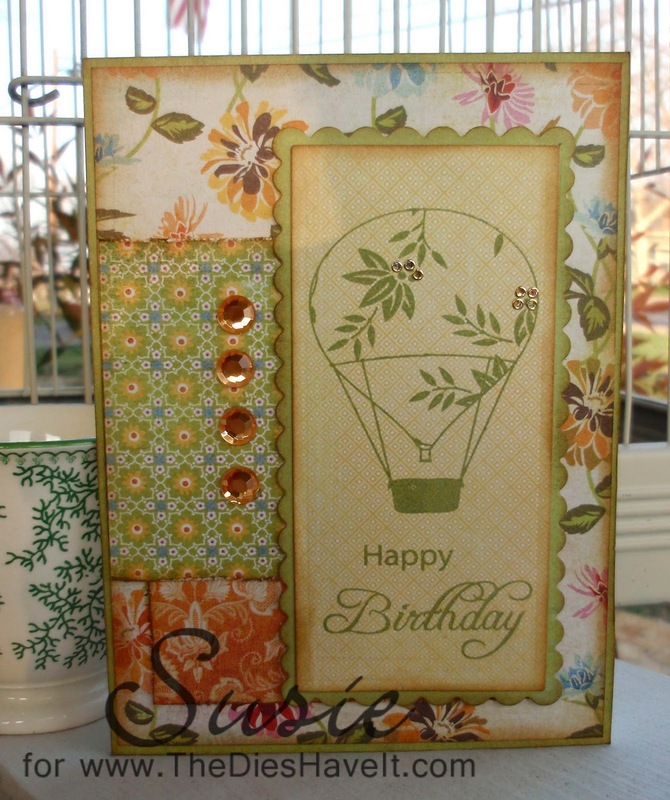 The focal image and mat are cut from Spellbinder's Long Rectangle dies. They are one of my most used ones I think. I'll be back tomorrow with a new card to show you. And I'll be working on those sneak peeks too. So stay tuned!